Good Men, Good Women (1995), the final part in Hou’s trilogy on Taiwanese history, could well be considered as the first in a series of highly experimental films by Hou Hsiao-hsien. Dividing the film into two time lines – one set in the Chiang Kai-Shek era of White Terror and the other in contemporary Taiwan – Hou investigates both the unifying spirit and the chasms that exist between the nation’s past, present and future. A lonesome actress Liang Ching (Annie Shizuka Inoh) is to play the role of Chiang Bi-Yu, a Taiwanese resistance fighter from the 1940’s. Ching’s confrontation with the painful history of her nation coincides with a confrontation with her own dark past, where we learn about her stint as a bar host and her affair with a man named Ah-Wei (Jack Kao), whose murder she becomes an accomplice to, for three million bucks. The betrayal of a group of loyal partisans by the very side it wished to fight for serves as an agonizing reminder of her betrayal of a man who loved and trusted her. Hou’s highly stylized direction cuts back and forth between the scenes from the past that use soft, black and white footage and those from the present, shot in a bland colour stock, both of which mingle at one point, pointedly suggesting the marriage of collective and personal histories that gives a not-so-rosy picture of the future. 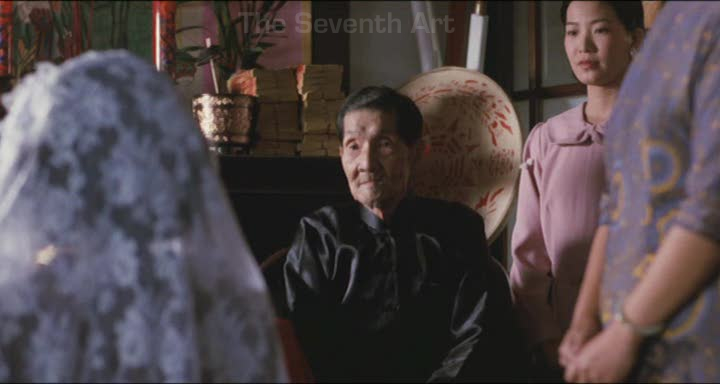 Good Men, Good Women is a transitional film for Hou in the way it acts as a bridge between the idea of inseparability of past and present indicated by The Puppetmaster (1993) and that of absolute isolation of the two from each other that characterizes Goodbye South, Goodbye (1996). With Goodbye South, Goodbye (1996), Hou seems to have bid farewell to narrative cinema for good. It is safe to declare that absolutely nothing happens in the film, for right from the first shot of the film, where we witness a bunch of blasé youngsters sitting in a train and one of them losing signal on his cellular phone, to the last one where a car carrying those people crashes to a standstill, there is simply no indication that the vicious circle that the characters are treading on will break some day. Neither their choices nor their actions seem to make any difference to the drug-addicted, gamble-driven, aimless and nihilistic lives they seem to be leading. They live for the moment, without a shred of consideration for the consequences or causes of their present actions (They open a restaurant where they end up telling the customers what they should eat!). 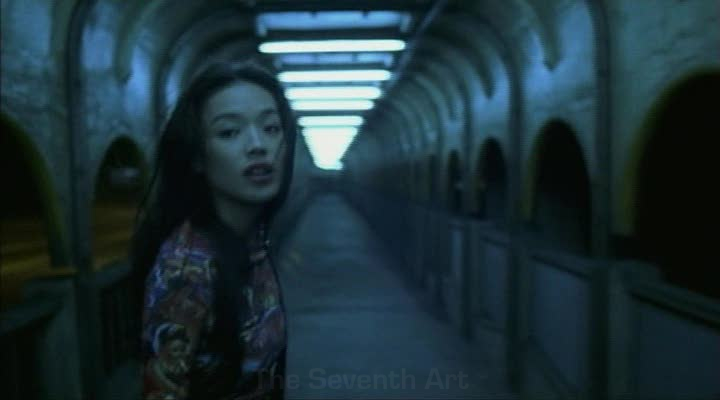 With an absurdly exaggerated colour scheme, consisting mostly of primary colours, Hou builds the film as a string of moments, each rife with dark, brutal humour (“Did she slit her wrists again?”), that gradually reveal how a whole generation is living with neither an apparent memory of the past nor a hope for the future. Alternating between scenes of motion – trains, motorbikes and automobiles – and transit, whose destination is never once clear, and utter motionlessness, shot in dimly lit, cramped interiors, Goodbye South, Goodbye is a stark and affecting portrait of a stalemated generation whose loss of identity seems to mirror that of the nation they are living in. 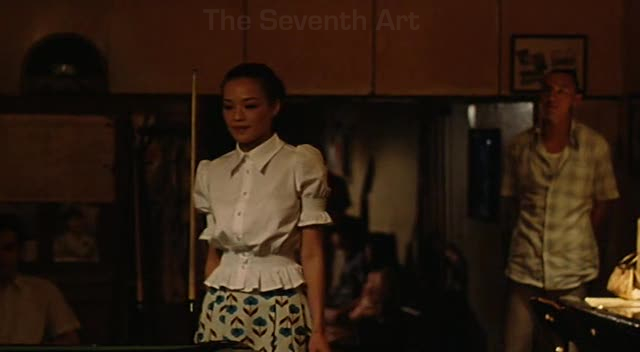 Could there be a more baffling and contrasting follow up to the apparent frivolity and irresponsibility of Goodbye South, Goodbye (1996) than The Flowers of Shanghai (1998), Hou’s only film to be set entirely in the pre-WW2 era? Slightly redolent of Zhang Yimou’s magnificent Raise the Red Lantern (1991), The Flowers of Shanghai, set during the turn of the nineteenth century in the brothels of Shanghai, presents us a series of seemingly endless conversations and bouts presided by men, presumably belonging to the officer class of the ruling government, who indulge themselves by patronizing the courtesans and playing drinking games on the table. Hou’s most relentless and most rigorous film till date, The Flowers of Shanghai is shot completely indoors, with carefully orchestrated actor choreography, consisting almost entirely of medium shots and with a intensely reddish lighting scheme throughout that evoke a high degree of claustrophobia and suffocation, which perhaps mirror the experience of the flower girls themselves (the exact feeling that is induced when one watches Ten (2002)). It is hard not to think of the film as a political allegory given the fact that the whole film plays out within a single, enclosed structure and the intricate way in which relationships are reduced to ideas of ownership, subscriptions and contracts. However, even if the case for political abstraction is dismissed, The Flowers of Shanghai still remains a scathing examination of power and freedom of a highly marginalized section of people living under a decidedly patriarchal structure – an exploration that remains as potent even in the most modern of times. Millennium Mambo (2001) arrives, at the turn of the century, as a timely reboot to Hou’s Daughter of the Nile (1987). Like the protagonist of the latter film, Ah-Sang (Fan Yang), Vicky (Qi Shu) finds herself in a stalemate of sorts, with no relationship to really hold on to, and wishes to escape into the past as a means of overcoming the abyss called future. She seems haunted by the idea of beginning anew in a new place and a new time and is fascinated by the antiquity of Hokkaido, Japan, the old people who live there and the old cinema posters that adorn its slow-clad streets. However, unlike Ah-Sang, she seems numbed by her condition so as to not show any signs of desperation for escape. There are echoes of both Tsai Ming-Liang and Wong Kar Wai in this film in its existential overtones and (yet) brimming optimism. In stark contrast to the medium-shot rigor of his previous film, Hou’s aesthetics are freewheeling and he shoots in cinema vérité format, employing a mildly accentuated colour palette and a large number of loosely focused, handheld shots and close ups that was hitherto uncharacteristic of the director. Like some of his previous films, Hou seems to be interested more in capturing the rhythm of life during a specific time period in Taiwanese history than anything else. Consequently, Hou employs a highly evocative techno soundtrack and punctuating slow motion shots that gives one the affecting feeling that these are moments of utmost transience to be cherished for eternity, much like the evanescent face imprint that Vicky leaves on snow. 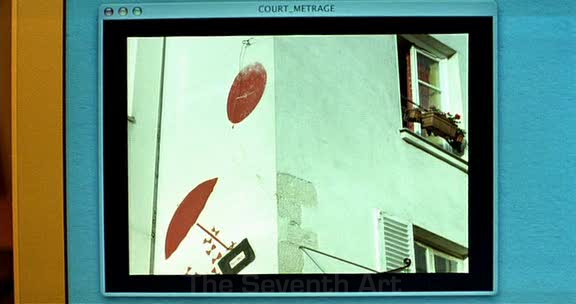 Café Lumiére (2003) is the kind of film that I would have expected from Jarmusch, given his preoccupation with Japan and, specifically, Ozu (No wonder he cites Hou as one of his idols). However, in retrospect, it looks like that no other director deserves making this film as much as Hou does. That is because Café Lumiére serves both as the updation of Ozu’s themes for the new century and as the next logical step in Hou’s body of work. Most minimal in terms of plot in all of Hou, Café Lumiére continues Hou’s exploration of the new generation that has been cut off from its past and that seemingly unbridgeable generation gap that exists between the members of two generations – a characteristic Ozu theme that had its cultural roots in Post-war Japan – in this post-globalization world. However, Hou examines this chasm from an outsider’s point of view, as and through a person straddling the cultures of Japan and Taiwan – a stance that permeates the whole film, tying what is quintessentially Hou to that which is quintessentially Ozu. Hou’s stylistics, too, become inseparable from the Japanese director’s as he concocts similar ground level compositions, with meticulous actor choreography filmed in long shots and separated, at times, by major ellipses. Like Jarmusch’s latest, Hou’s film is also one about transition – one without any particular destination – and he adorns the film with images of trains and railway stations. 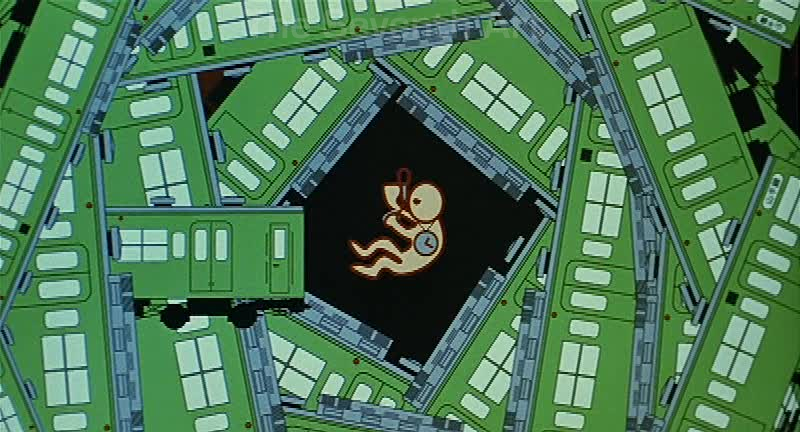 In fact, Hou’s film is the cinematic equivalent of the painting that Hajime (Tadanobu Asano) creates in the film, indicating a generation that rests within the womb of a dense network of trains, slowly bleeding. Hou Hsiao-hsien’s most acclaimed film, Three Times (2005), brings him back to overtly political filmmaking after a hiatus of, arguably, four films. Divided into three segments – set in 1911, 1966 and 2005 in Kaohsiung, Dadaocheng and Taipei respectively – Three Times seems like a distillation of three of the director’s earlier films. Hou’s aesthetics change with the time period the film deals with (in a highly cinematic sense too). He uses a green filter, a mixture of outdoor and indoor shots and a soundtrack composed of romantic songs for the first segment, a red filter, largely medium shots filmed indoors with a static camera and a classical soundtrack for the second and a blue tinge and fluid camerawork with a number of close-ups for the third, reflecting the spirit of each age. But Hou’s film is far from a simple comparison of lives in three distinct time periods. Hou is more interested in the underlying similarities and ironies more than the apparent and inevitable differences. Like many of the director’s previous films, Three Times is an exploration of the distance between individuals, the communication gap that separates them and the ways those distances and gaps are bridged. In the bittersweet, first segment, letters and boats serve the purpose of bringing people together, with words complementing when stretches of silence aren’t enough. In the second segment, voices are entirely muted as intertitles replace conversations. In the final one, despite the infinite means of communication and commutation available, characters don’t seem to be able to connect either with each other or with their past, as they ride off in their contraptions to nowhere. The Flight of the Red Balloon (2007) might just be Hou’s greatest accomplishment to date. Hou’s second film on foreign soil is aptly set in Paris, France – the city of arts – and takes off from Lamorisse’s childlike short The Red Balloon (1956). The latter trivia is very important and provides thematic context to Hou’s film. The balloon in Lamorisse’s film becomes a symbol of beauty and of art, abandoning a cruel world that rejects it and embracing and protecting those who recognize beauty in the mundane. Likewise, in Hou’s film, Simon (Simon Iteanu) is surrounded by a number of art forms – music, literature, photography, puppetry, cinema and painting – and mother figures – his actual mother, his nanny, his piano teacher, his “pretend sister” and, of course, the all-mysterious red balloon. Hou, evidently inspired by the city, creates a fractal of art forms around these wonderful people in the film who seem to be striving to capture instantaneous reality and achieve peace and perfection through the art forms they practice. Hou uses semi-transparent, partially reflecting surfaces and has melodious music pieces accompany the most quotidian of images to underscore both the impossibility of life to attain the utopia of art and the presence of art in everyday life, all around us (The dense, final scene of the film employs Félix Vallotton’s painting, The Ball, to highlight how art is created out of the ordinary and how it embodies a desire to overcome the imperfection of reality). When Suzanne (Juliette Binoche) asks the blind tuner if he can tune the piano back to normal, she might well have been taking about her life. Director Hou Hsiao-hsien, in a 1988 New York Film Festival World Critics Poll, was voted one of three directors who would most likely shape cinema in the coming decades. He has since become one of the most respected, influential directors working in cinema today. In spite of his international renown, his films have focused exclusively on his native Taiwan, offering finely textured human dramas that deal with the subtleties of family relationships against the backdrop of the island’s turbulent, often bloody history. All of his movies deal in some manner with questions of personal and national identity, particularly, “What does it mean to be Taiwanese?“. In a country that has been colonized first by the Japanese and then by Chiang Kai-Shek’s repressive Nationalist Government, this question is pregnant with political connotations. 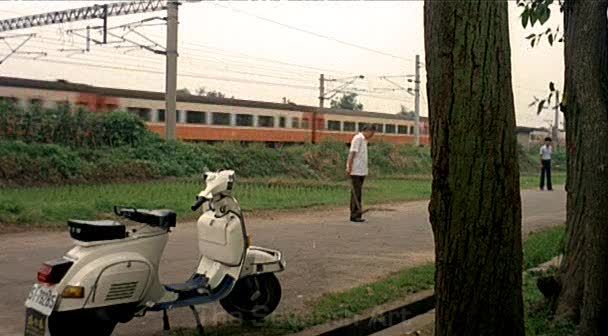 During the first quarter hour, The Green, Green Grass of Home (1983), undoubtedly a weak link in Hou Hsiao-Hsien’s early career, seems to safely adhere to the noble-​teacher-​scores-​over-​unruly-​kids-​and-​profoundly-​changes-​their-​lives genre. Instead, Hou diverts the attention of the narrative from the student-teacher relationship towards the one between the kids and their parents and the romance between the teacher, played by Hong-Kong pop icon Kenny Bee, and his colleague in the primary school. There is dramatic tension in the story, which now seems uncharacteristic of the director, in the form of a environmental issue about illegal fishing in the village river, that is used to tie all the characters together in the third act. The director’s signature is barely visible and his methods seem to be in their very nascent stage. Hou shows almost none of his trademark restraint on the soundtrack, employing schlocky sentimental songs to hold attention. Of course, there is also much to take away from the film when the director is not concentrating on the star value of the film, especially when he deals with slice-of-life sequences from the children’s lives (There is a very funny sequence involving a stool test which, I’m sure, has been ripped off elsewhere). Also noteworthy is the way Hou positions his camera amidst the kids, often taking their POV of their teacher. 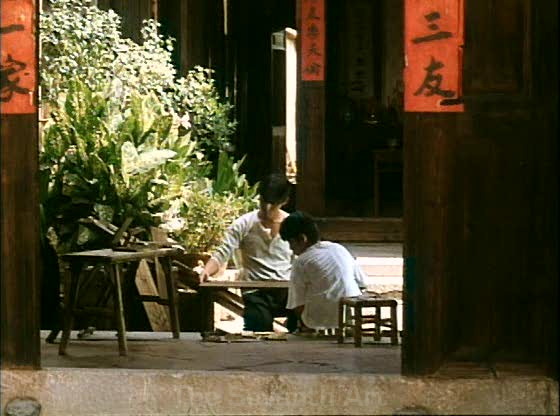 But it is Hou’s choice of repeating certain compositions and locations throughout the film, which also presages a key technique in the director’s modus operandi, to get the audience accustomed to the film’s environment that ultimately saves the film. A Summer at Grandpa’s (1984) is a tale of transition – from the chaotic life in the city to la dolce vita of the countryside, from the ennui of scientific modernity to the fascination with nature’s antiquity and from the blissful ignorance of childhood to the mercurial moods of pre-adolescence – and, fittingly, begins with the graduation ceremony of one of the two child protagonists of the film, who are to spend their titular summer at their grandfather’s house while their mother is to undergo a critical surgery in the city. Surely, it is not only the mother who is going to be going through a life-altering phase. The kids come across a host of alien characters and situations, including a pair of robbers and a mentally-challenged woman, that are so intricately woven into the narrative that even the adult viewer finds it increasingly difficult to locate his/her moral footing with respect to the film. 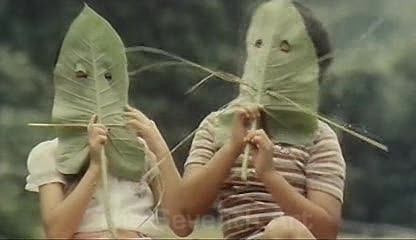 A Summer at Grandpa’s is starkly redolent of Victor Erice’s The Spirit of the Beehive (1973) in the way it filters the political and moral complexities of the world though the eyes of children to paint an unsettling portrait of a society that is far from being the paradise it appears to be on the surface. Hou observes, with equal intrigue, both the carefree indulgence of the children in social games (including a hilarious turtle race) and the stark reality that interrupts these activities, as if trying to remind them that the best part of their lives is over. 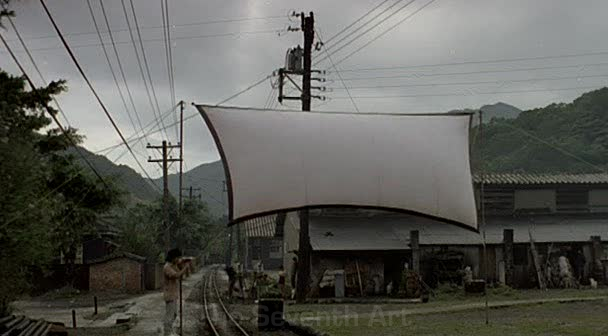 Of all the early works of Hou Hsiao-Hsien, it is perhaps A Time to Live, A Time to Die (1985) that most warrants a comparison to the works of Ozu given its themes of separation, loss and loneliness. First of the director’s films to be set in post-WW2 period in Taiwan, the film follows a family from mainland China that moves to the south of Taiwan after the war. Hou’s film simultaneously covers three generations– represented by the grandmother, the parents and the children respectively – each of which presents a certain kind of relationship between the present and the past. Grandma believes that she is still in the mainland and keeps looking for a bridge that isn’t there. The parents spend their lives believing that all this travail is temporary (as was the case with Taiwan itself during the period) and the past will return. The children are plainly oblivious to the past, engaging themselves in petty gang wars and bumming around. In addition to the themes, it’s also Hou’s aesthetics that seem highly Ozuvian. 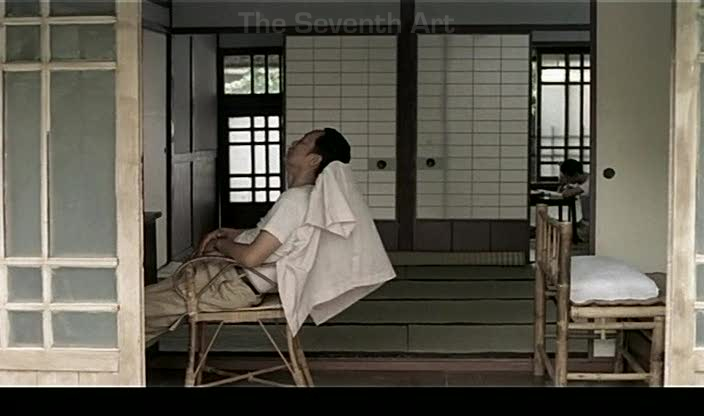 The architecture of the family’s house looks very Japanese (whose authenticity is intact given the place and the time the film is set in) with sparse, well-ventilated living rooms and doors, windows and other furniture made of bamboo and glass. The indoor compositions are double-framed with a ground-level camera angle that recalls the respect and humility of the Japanese director. Then there are also those major and minor ellipses that punctuate the narrative to give us a sense of time passing, people departing and life drifting away. As much as Dust in the Wind (1986) takes Hou back to the dialectics between rural and urban life styles that was present in his earlier films, it deviates starkly from the ideas underlying those films. The first five minutes of the film sits alongside the very best sequences that Hou has ever filmed. The film begins with Biblical darkness after which we see a speck of brightness approaching us, gradually growing in intensity and size. We realize soon that we are on a train moving into and out of unlit tunnels regularly. As twilight strikes, a young couple alights from the train and walks into the village. The dark and foreboding clouds gradually drift over the couple’s heads as the boy escorts the girl to her house. This extremely evocative sequence sets both the tone and the themes of the film that’s to come. The boy leaves school to go the city in search of work. The girl follows suit and ends up working in a textile firm. The romance between them is palpable and so is the seemingly unbridgeable gap. Hou and screenwriter Wu Nien-Jen, on whose teenage experiences the film is based, create a tender piece of work about the inability to escape one’s socio-economic and political status to do what one wants. They build the film around (subtly ridiculous) patriarchal structures, wherein it takes nothing more than a pair of cigarettes for males to bond while the whole world seems to be conspiring against the fruition of a romance. Daughter of the Nile (1987) is an anomaly of sorts in Hou’s filmography considering the direction his films have hitherto been moving in. 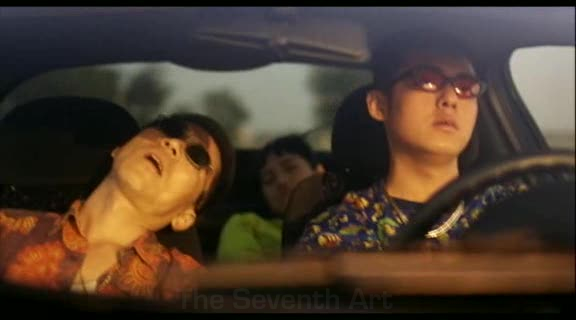 The film’s begins like a Markerian tone poem, especially resembling Level Five (1997), establishing a strange connection between Taiwan and ancient Egypt, and goes on to unfold as a Tsai-esque poem about physical and emotional loneliness in a pre-apocalyptic world. Ah-Sang (Fan Yang) is a college-going young woman living with her sister, a school going teenager, her brother, a lifelong thief, now escalating the ladders of the mafia and her grandfather. Ah-Sang tries to find some happiness in the relationships with her family and friends, but is continually hampered by the ever-increasing brutality of the world around her. She tries to escape the bleakness by imagining herself as Carol, a manga character who leaves her family and flees to ancient Egypt only to be killed at 22. The greenery and serenity of the countryside, which had till now played a significant part in Hou’s films, is completely absent as Hou replaces it with saturated primary colours exuded by the luminous advertisements of nighttime Taipei. The spacious and airy interiors of previous films give way to cramped, suffocating rooms. Surely, Ah-Sang is no better than the fish in the tank in her apartment. Even amidst this desolation, she remains hopeful of a meaningful relationship with one of her brother’s mafia friends, only to be disappointed later. These are, truly, victims of the neon god. A City of Sadness (1989), one of Hou Hsiao-Hsien’s finest films, is an ambitious and extremely poignant work that deals with the tumultuous years after the war, during which Taiwan was in the transit between Japanese occupation and communist China’s rule. The film concerns, primarily, with the four sons of the Lin family, the eldest of whom is a straightforward man running a restaurant. The second son has lost his sanity during the war, the third is reported missing and the fourth – a deaf-mute – runs a photo-studio. These are, of course, the most basic of characters among the tens of others that come and go in the film. 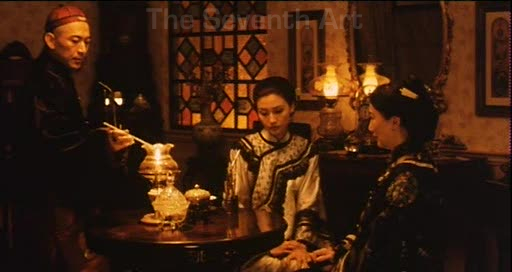 Hou’s rhythmic and oft-repeated compositions, aided by the runtime of the film, induce such familiarity with the film that they invoke a feeling of having lived with the Lin family for a long time. A City of Sadness deals with the problem of communication, as would the later works of the director, in all its shapes and sizes. There is the communication gap between the past and the present in the form of numerous arrests of the Taiwanese by the new Chinese government. There is the cultural gap between the mainlanders and the islanders exacerbated by the difference in languages of the two counties. Then there is the most basic human gap between the deaf-mute son and the girl he is interested in, which the pair tries to bridge using written language, also flashed on-screen. As a result, A City of Sadness plays out as an elegy about agonizing socio-cultural limbos during an equally painful political limbo in Taiwanese history. 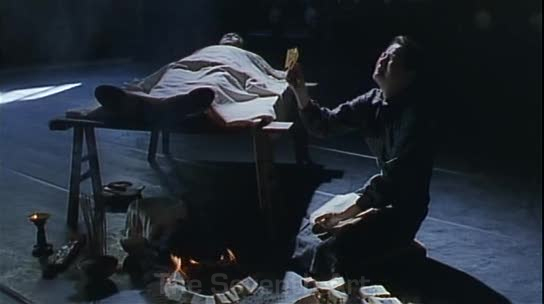 The Puppetmaster (1993), my favorite among the eight films listed here, chronicles the events in the life of a real life puppet master Li Tien-lu, from his birth to the year of Japanese surrender of Taiwan. Hou cuts back and forth between accounts narrated by Li himself, speaking directly to the camera in lengthy shots, and the fictional recreation of those events by the director as if trying to convey the amount of historical time that has passed. As Jonathan Rosenbaum notes, Li may a puppet master, but he is also a puppet himself. Right from the first significant event of his childhood, where he is prompted by his aunt to steal a few manuals, to his adolescent days, where he becomes a cash coughing machine for his father, and up to his mid life, where he does propaganda for the Japanese in Taiwan, Li is always under control of some higher authority, be it Chinese or Japanese. Of course, Li’s fate mirrors that of Taiwan – a country that was attached to strings held by the Dutch, then the Japanese and, finally, the Chinese. Furthermore, as highlighted by the long shots that dwarf the characters with respect to the landscape they are in, by the striking resemblance between puppet shows and stage performances within the film and also by a significant cut from the image of Li sitting in a dressing room, getting ready for a theatrical performance, to his present-day self, The Puppetmaster is also about people’s (specifically Taiwanese) near-complete loss of control of their own lives, courtesy the all-powerful political structure that oversees them and sweeps them along with its laws and decisions.